Today we published new research that shines a much-needed light upon the experience of disabled road users, explains how much can be done to make the road system more inclusive, and widens the discussion on making transport accessible beyond the more routine focus on public transport modes to the needs of people who drive or are driven; a vital form of mobility for many people. An accessible road network? Disabled user experience on England’s motorways and major ‘A’ roads uncovers the barriers disabled people encounter when travelling on roads managed by Highways England and identifies various changes that could radically improve their use of major roads. Launching the report this morning, the Minister of Transport Accessibility, Nusrat Ghani MP, welcomed the research, saying: “I don’t for one moment underestimate the task of transforming our transport networks to deliver the government’s Inclusive Transport Strategy” and confirming that an accessible roads network has to form a key part of this. As she also noted in her announcement of a new partnership with Muscular Dystrophy UK to bring ‘Changing Places’ accessible toilets to the majority of motorway service areas: “It’s not good enough that only 15 of 112 motorway service areas currently have facilities that all disabled people can use with confidence”. 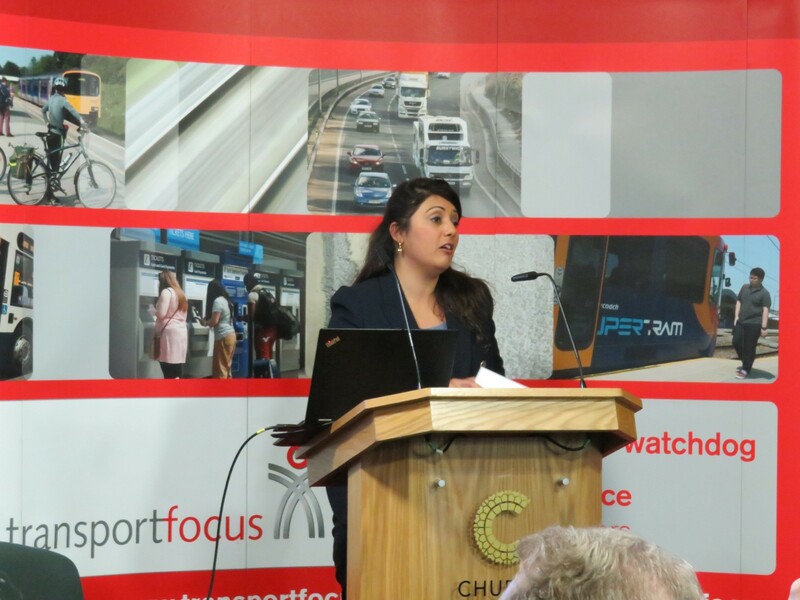 Transport Focus welcomes this valuable programme, but the research makes plain there is a great deal more to be done if the road network is to be rendered truly inclusive and accessible for disabled road users – many of whom told us that driving gives them vital independence and a sense of freedom when using public transport may not be possible. The research confirms disabled road users feel more anxious that road journeys won’t go to plan, so they plan very carefully and need more detailed information than most drivers about facilities and circumstances on route, especially where they can (or won’t) find toilets suited to people with their type of disability. Disabled road users also told us they must consider any risk to possible medication schedules, regularly find they must walk further than is desirable/possible between parking and shops or food outlets, can often struggle when careful plans are disrupted by unknown journey challenges (for example, a diversion, delays, and traffic jams) and don’t feel comfortable if stuck in a situation where they cannot quickly summon help. Information: Highways England should do more to publicise information sources for disabled road users when their vehicle breaks down or when stuck in a traffic jam. Signage: Highways England (and service operators) should review signage to determine how it could be improved, including for people with cognitive disabilities. Parking: site operators and Highways England should work together to increase the number of spaces for disabled visitors in service areas, and do more to minimise the abuse of disabled parking bays. When refurbishing services, operators should locate disabled toilets as close as possible to the entrance. Training: recovery providers should review and improve the disability awareness training given to all their staff. The Department for Transport should also consider whether the number and location of driving instructors trained to teach those with cognitive impairment is currently adequate. Petrol: retailers must ensure they are compliant with the Equality Act 2010 and make necessary adjustments to ensure disabled customers are not disadvantaged at petrol pumps.